When virtue and money clash, guess which wins? A crusading army of dries, blue noses and any devil’s number of uplifters rammed the 18th Amendment down the national gullet. Alcohol became verboten in the Land of the Free and the Home of Jack Daniels. From 1870–1912, liquor taxes accounted for a full third of all federal revenues. But in 1913, the passage of the 16th Amendment authorized the national income tax. The income tax skimmed enough cream off the economy to make up for the lost liquor revenue. No income tax, no Prohibition — a nice point to put somewhere. Income tax revenues dried up like so many puddles in the August sun. Uncle Sam needed to make good the shortage. So… Guess what became legal again in 1933? Then why does Florida run a lottery? If ever there were a “game of chance,” it’s a lottery. The answer, too obvious for words: It makes the state money. Gobs of it. Horse tracks? Casinos? Same. All 50 states and the District of Columbia swing to the same tune. Morality is fine and well. But with vice, the getting is just too damned good. And if the government banned smoking, what about all those lost billions in tobacco taxes? Please, think of the children (and the crony contractors and the teachers unions). Bottom line: Alcohol, tobacco and gambling are hell-sent monsters. Unless the government can tax them. Opponents of legalization shake the air with protests. It’s a gateway drug, the camel’s nose in the tent. Legalize it and there go the kids. How can anyone in his wits consider it? Turns out, Alaska, Colorado, Oregon and Washington did consider it. And legalized it. For largely the same reason, too: tax revenues. Marijuana sales raised $135 million in taxes and fees for Colorado last year. And Washington state expects to rake in $1 billion in marijuana sales taxes over the next four years. The others have also reaped a harvest. Eight more states are voting on marijuana legalization in November. The Tax Foundation estimates that nationwide marijuana legalization could generate up to $28 billion in tax revenues for federal, state and local governments. We have little doubt they could put that money to use. Again, the children. We first covered legalized marijuana in those distant, carefree days of 2012. Our fearless leader, Addison Wiggin, wasn’t so sure it would go through. Why not? The entire history of pot prohibition is one of special interests jealously guarding their nests. At the height of “reefer madness” in the 1930s, William Randolph Hearst used his newspapers to link weed to violent crime. As it happened, Hearst owned a lot of timber acreage and paper manufacturing plants — an empire threatened by emerging technology to manufacture paper from hemp. Today, the biggest agitators against legal pot include private prison operators, alcohol companies and Big Pharma. So we close with the question we opened with: When virtue and money clash, guess which wins? After decades of public outcry, the U.S. government is finally poised to make a very important decision… one that could give rise to a $100 billion industry. All signs are saying that the government will do the right thing — reversing course on a very controversial topic. As early as Aug. 1 — just over two weeks from now — I expect an announcement that changes the way we regulate drugs. And investors who position themselves now could grab a hefty portion of that cash for themselves. I’m talking about medical marijuana. Medical marijuana will be legal, opening up a whole new world of drug development. And anyone who owns shares in the industry’s pioneers will reap huge profits. Of course, this is a very controversial topic, and I’m sure you might be skeptical. So let me explain exactly what the government has in mind… and why it’s about much more than some hippies’ dreams coming true. Usually when biotech investors talk of “regulation,” we mean the Food and Drug Administration (FDA). In fact, that’s what Agora Financial’s FDA Trader is all about — monitoring the ins and outs of the government’s drug approval process to identify companies with true blockbusters. But the FDA isn’t the only federal bureaucracy tasked with regulating pharmaceuticals. 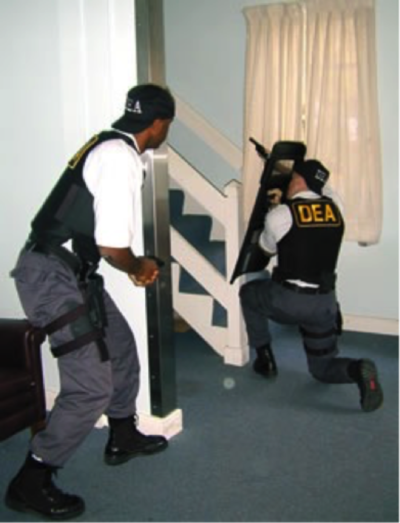 There’s also the “muscle” behind U.S. drug regulation, the Drug Enforcement Administration (DEA). And when I say muscle, I mean it. These classes range from Schedule I to Schedule V. Schedule I drugs are the most tightly regulated. In fact, they are practically forbidden on the open market. 1. Have a high potential for abuse. 2. Have no currently accepted medical use in treatment in the United States. 3. Have a lack of accepted safety for use under medical supervision. Incredibly, marijuana has been a Schedule I drug since the very beginning, despite having a lower potential for abuse than many other substances and many potential medical uses because its active ingredients interact with several biological systems. In fact, the study of the biological effects of marijuana has even led to an understanding of a network inside the body called the endocannabinoid system (after the name for the plant: cannabis) controlling both the central nervous and immune systems. 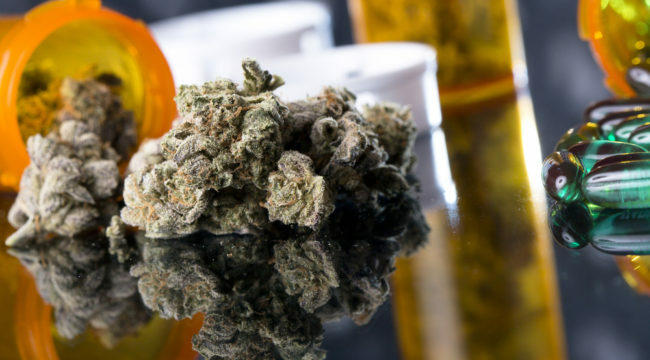 That potential for medical use has led a number of states to decriminalize or legalize marijuana for medical purposes — although marijuana is still illegal at the federal level. This remains a major impediment to the use of the substance or to the use of drugs derived from it. Late last year, however, a letter from multiple senators was sent requesting a re-examination of marijuana regulation. In April, the DEA responded that it will decide whether or not to reclassify the substance by the middle of this year. In other words, by August 1, we should know the DEA’s decision. There are several reasons to believe they will decide to “reschedule” marijuana — opening the floodgates for medical research and new pharmaceuticals. As I said, a Schedule I substance has to have a high potential for abuse… no accepted medical use… and a complete lack of safety, even under medical supervision. I won’t try to argue that marijuana doesn’t have a high potential for abuse, since that topic can be very subjective. I will note, however, that there’s a high potential for abuse in everything from alcohol to caffeine — neither of which is Schedule I. However, marijuana quantifiably fails the other two criteria. For one thing, another U.S. government agency has confirmed that marijuana has medicinal value. In 1999, the U.S. Department of Health and Human Services filed a patent for “Cannabinoids as Antioxidants and Aeuroprotectants,” claiming that the chemicals found in marijuana are “useful in the treatment and prophylaxis of wide variety of oxidation associated diseases.” That certainly sounds like an accepted medical use to me. Despite his opinion, the DEA refused to change marijuana’s classification. But since then, there hasn’t been any conclusive evidence that marijuana is harmful — at least not harmful enough to be considered among the world’s most dangerous substances. And over the intervening years, public opinion has shifted to support medical marijuana. As I said, state governments have been actively legalizing it. A Harris Poll in 2015 showed that 81% of American voters favor it, too. Marijuana lobbyists have swarmed Capitol Hill, convincing Democrats and Republicans to their point of view. Put it all together, and it makes a pretty compelling case that the DEA will be forced to change its view of medical marijuana. The only alternative is to take tremendous leaps of logic to justify keeping it on Schedule I — ignoring both popular opinion and science. I trust the DEA will make the right the decision. Rescheduling marijuana and its derivatives to a milder classification will have massive shockwaves — creating a total market that could be as big as $100 billion per year. There are a lot of ways investors can play this. There are plenty of publically traded companies that are tied to the marijuana industry. In fact, as more and more states moved to legalize marijuana, these stocks soared — delivering thousands of percent gains to early investors. A nationwide change to medical marijuana law enforcement could spur another boom. Of course, not every stock that deals with marijuana will be a winner… and I don’t feel qualified to choose which companies stand to gain the most by selling the best pot for the lowest prices. Instead, I’m firmly focused on companies that will used the relaxed legislation to do the most good — creating drugs derived from marijuana that will ease suffering and bring patients a better quality of life.